We're leaving behind the cloud forests of Monteverde and hope that we're not going into some clouds of smog in San Jose. Traveling by public bus to Costa Rica's capital city takes about 5 hours - more if the roads really turn rotten during the rainiest day. We're not taking any chances as we have a limited time so we booked the more expensive option of a shared van ride. This is a trip that will take us 3 and a half hours...supposedly. Before checking-out, we had free breakfast at Hotel de Montana but I'm getting sick of rice and beans so I ordered pancakes. We barely finished eating when our driver came to pick us up - mind you, Costa Rican tour operators are very punctual. The driver only speaks Spanish but we found out that we'll be transferring to another van at some point since this one we're on will be going to a different direction with some of the passengers. It's rainy and foggy as we bid Monteverde goodbye. The dirt road is thankfully not as bad as I thought - some potholes here and there - but the views of the mountains got better as the skies cleared. Traffic jam here means the occasional herd of cattle crossing the road. We did have to transfer to another van, sharing it with a German woman and her young son and two other Europeans. What we didn't expect though is the van doing a detour to Puntarenas where the two Europeans are catching their ferry. That's about an hour more or less. 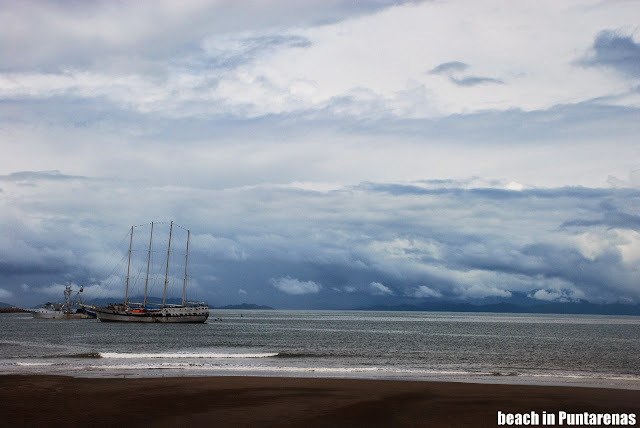 We got into Puntarenas just as the ferry was leaving and the two frustrated Europeans argued with the driver while the German woman translated for them. I shook my head, hoping these two will leave now since they can board another ferry in an hour anyway. 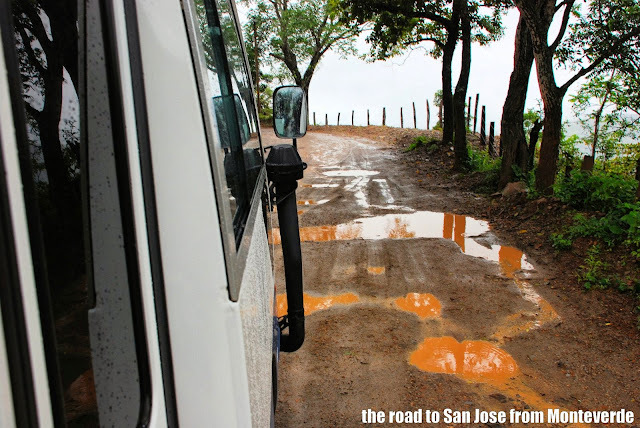 Even if the roads are paved by this time and the van moved faster, I felt uneasy as we arrive more than an hour late in San Jose. Worse, there's a traffic jam on our way to the hotel. If there's any consolation, we got an upgrade to a junior suite at Hotel Fleur de Lys - a converted Victorian mansion with lots of Costa Rican character. 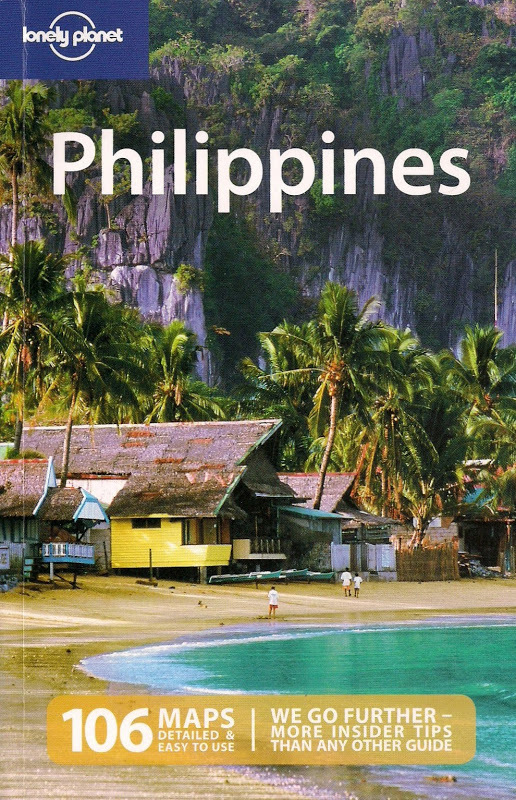 For meals, my guidebook recommended nearby Nuestra Tierra and I'm glad it didn't fail even if we're having late lunch. They serve Costa Rican specialties and I didn't have to gaze any further to feel the ambiance of a hacienda - the whole place reeks with it, even bunches of onions and steel mugs dangle from the ceilings alongside flags from different countries. More importantly, the food was muy delicioso. Our plan is to spend the rest of the afternoon walking around downtown - and we did. 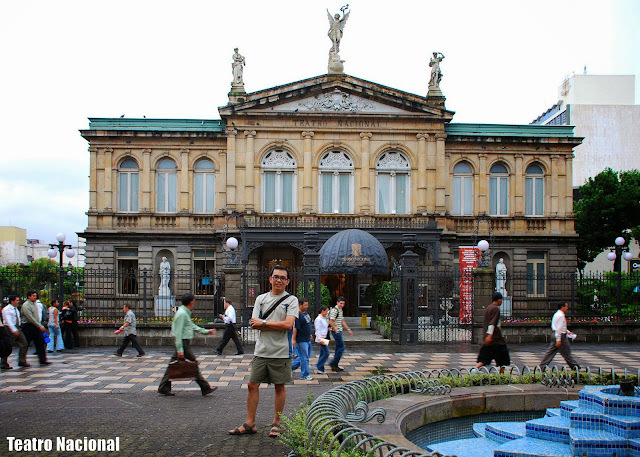 We traversed the length of Avenida 2 until we got to Plaza de Cultura where the Teatro Nacional reigns supreme. Ticos and foreigners congregate in the plaza. 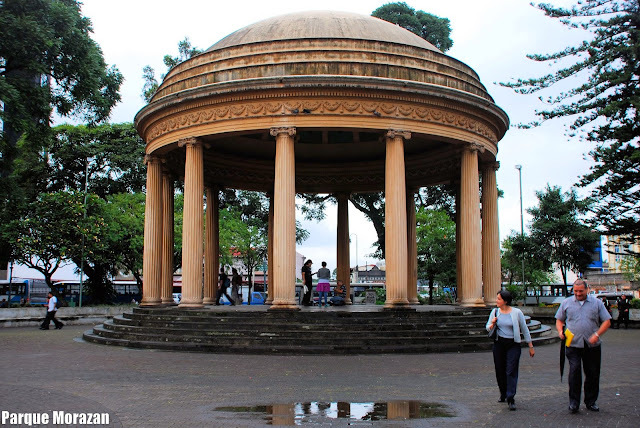 We moved along Calle 5 and ended up at the Parque Morazan. 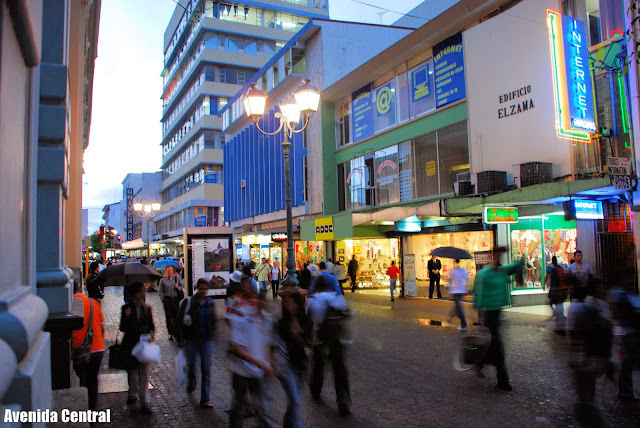 Our last destination is the Avenida Central, a pedestrian-only street which is something I enjoy visiting anywhere I go. Just like Istiklal Street in Istanbul and Calle Florida in Buenos Aires, this is one of the best spots to watch all that local action going on. 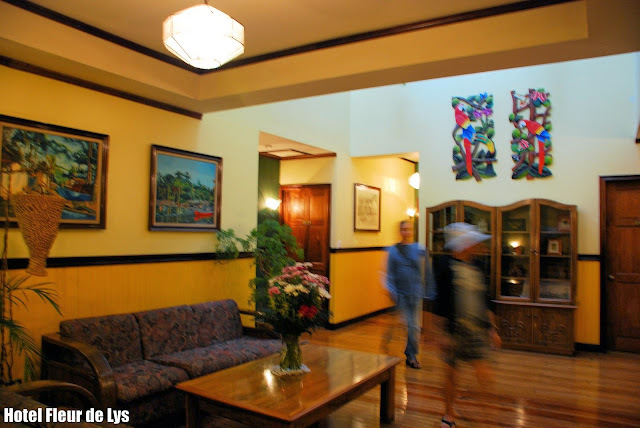 We wind up our downtown visit with coffee and crepes at the historic Gran Hotel Costa Rica. It's chilly this evening and I forgot to note that San Jose, right smack in the Central Valley, sits at an altitude of 4900 feet above sea level. I really don't mind - with a cup of excellent Costa Rican coffee and a lot of tales to tell, I'm actually having a good time.